Shandong is on the lower reaches of the Huanghe River (Yellow River) in the eastern part of the North China Plain. The Shandong Peninsular borders on the Bohai Sea in the northwest and the Yellow Sea in the northeast and south, with a coastline running about 3,000 kilometers. The whole province covers an area of over 153,000 square kilometers and has population of 91.80 million (2006), Shandong province's total population is the second only to Henan Province in all China's provinces, consisting of the Han, Hui, Manchu and other nationalities. The city of Jinan is the seat of the provincial capital. It is rainy in summer and clear and dry in winter. It is milader and more humid in Shandong Province than in other parts of the North China Plain. The average annual temperature in the province is between 11°C and 14.5°C (51.8 °F and 58.1°F). China University of Petroleum (Huadong) is one of the state universities sponsored by the Ministry of Education of the People's Republic of China (MOE), one of the 211 Project universities and is jointly constructed by the Ministry of Education, CNPC, SINOPEC, CNOOC, SINOCHEM and Shandong Province. CUP (Huadong) locates at the charming and amazing coast city of sailing boat Qingdao, it also owns one campuses in Dongying city where is famous for its rich oil field and delightful natural views. 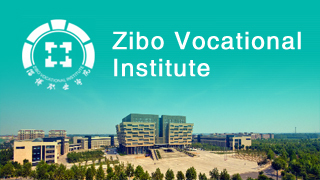 The total size of the two campuses is about 300 hectares with nearly 1.36 million square meters of floor space. The library has a collection of over 5.54 million volumes of books and documents (including electronic materials). Qingdao campus faces the calm blue Tangdao bay with its back to the grand Xiaozhu Mountains and the campus is a part of Huangshan mountain massif. Dongying campus is in the heart of Dongying city through which the Yellow River goes and the beautiful Huicui Lake is inside the campus. It is the top-ranking base for learning, researching and achievements transforming. The University has School of Graduates and other 17 colleges and departments, such as College of International Education, College of Geo-science and Technology, College of Petroleum Engineering, College of Chemical Engineering, College of Mechanical Engineering, etc. The total enrollment approximately includes 19,420 full-time undergraduates, 4,749 postgraduates and 350 overseas students. Over 1,500 are employed as full-time teachers, among them there are 6 academicians of the Chinese Academy of Engineering (CAE) and the Chinese Academy of Science (CAS), 819 professors and associate professors, 140 doctoral students supervisors. The University offer 5 State-accredited key disciplines, 6 post-doctorate Research Centers, 56 undergraduate programs, 150 postgraduate programs, and 49 doctorate programs. Petroleum major disciplines are in the domestic lead. 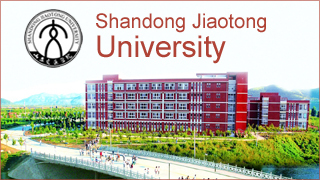 For the implementation of the Plan of Study in China, issued by Ministry of Education and in accordance with the Outline of Long-term Education Reform and Development of Shandong Province Shandong Provincial Finance Bureau, together with Shandong Provincial Education Department formulates Shandong Government Scholarship Plan. According to the plan, 8 million RMB will be appropriated to 17 provincial-level universities annually as the scholarship for foreign students. Each university will be responsible for its own enrollment promotion and the implementation of the scholarship plan. Overseas students could get in touch with the 17 universities directly. How many hours travel from guangzhou to Qingdao by train? Only two trains are in service for the trip: G276/G277 and T161/T160. The former takes around 12.5h and the latter takes almost 29h. Both train and bus service is available. By train, there is only one train - K2502/K2503 operating this route! It takes you from Linyi Station to Shanghai Station, taking around 16h. By bus, you can take a direct long-distance bus at Linyi Bus Station. It takes around 8h to Shanghai and the bus fare is around CNY120 per person!